The packaging does not lie! Decent noodles? Well, the bar has been set albeit, not very high. Noodle block, What is with Thailand and this nood style? It’s brittle and it just kind of doesn’t hold the flavour as well as I would like. I would like to add that Kam is an idiot. 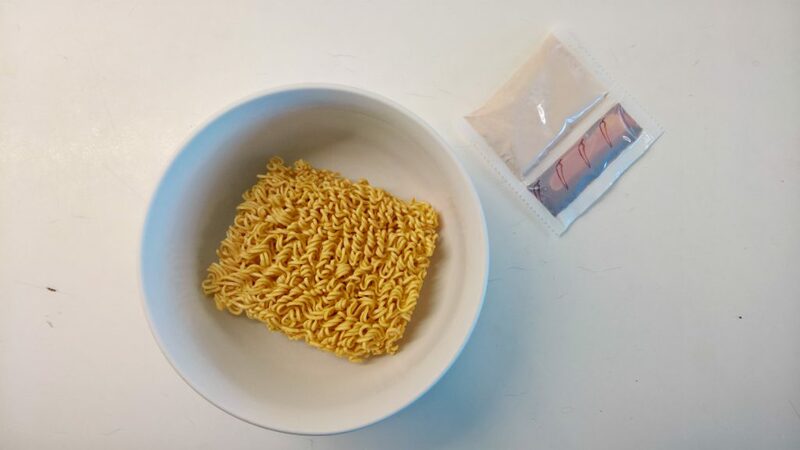 The packaging shows instructions for both fried noodles and broth noodles, he decided to follow both instructions to make broth. 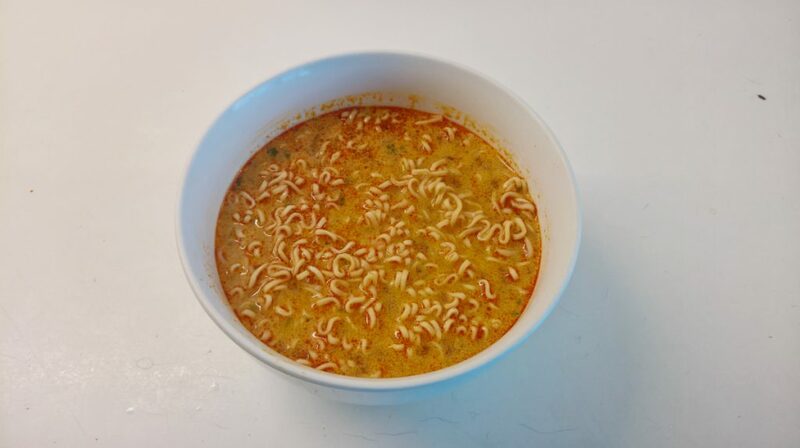 This included cooking the noodles, draining the noodles then adding 2/3 of the flavour, followed by more water and the remainder of the seasoning. I’m just impressed he stuck it through all the steps. Flavour was Decent. I wouldn’t say it was better than Mamma’s tom yum but this held it’s own pretty well. Shrimpy, limey goodness, very little punch. Essentially no chilli hit, perhaps a little tingle to remind you that chilli is an ingredient but it’s nothing to be concerned about. Nothing, Nada, Zip, Zero! I haven’t pooped. I’m not getting gurgles still holding strong. I’m just hoping it doesn’t hinder the next review. 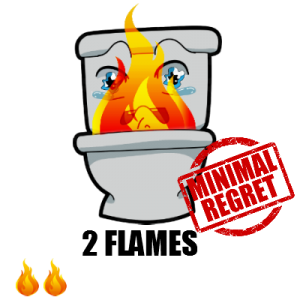 0 Flames, No poop means no score. So I had never heard of these guys; I grabbed them from a Korean candy shop in Yogyakarta Indonesia. Looking into the company it looks like iMee noodles are manufactured by a company called Chokchaipibul Co., Ltd; they provide investment in real estate in Thailand. Odd. I’m not sure what to make of it. The packet also directs you to a website (www.decentnoodles.com) which doesn’t seem to exist. All of this smells fishy…like Tom Yum. So these smell fantastic; when doesn’t Tom Yum smell good? The noodles are similar to Mama’s variety; brittle and crumbly (not my favourite) however it’s saved by the delicious broth. Low spice level but the oil helps it give staying power. These noodles are pretty decent. So regret was pretty low on these; can’t say anything really happened. 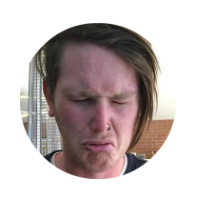 I cant speak for the morning because I done goofed and ate half an “Ultimate Hot and Spicy” Pizza for dinner so I did poo pretty rampantly in the morning. My mistake. But I had nothing from these noodles so I’m gonna average out at a happy 3 flames. 3 flames; there was rampant stingy poo in the morning but pretty sure that was the pizza.